Together with Stratton St Margarets Parish Council, we have created 25 new allotment plots alongside the original allotments. Volunteers are in the process of enlarging the car-parking area for the additional tenants and making space available for bulk manure and wood chippings storage sites (all kindly donated by local businesses). As at the 21 st August, we have let 20 of the new plots and several of these have already been put into cultivation in the few weeks since they were taken over. 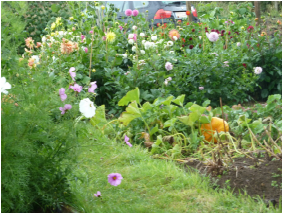 All of the new Allotmenteers are from surrounding Parishes and have brought with them a love of the outdoors and an appreciation of the quiet space found on the allotment site. The Parish Council welcomes them all and wishes the every success in their growing endeavours.